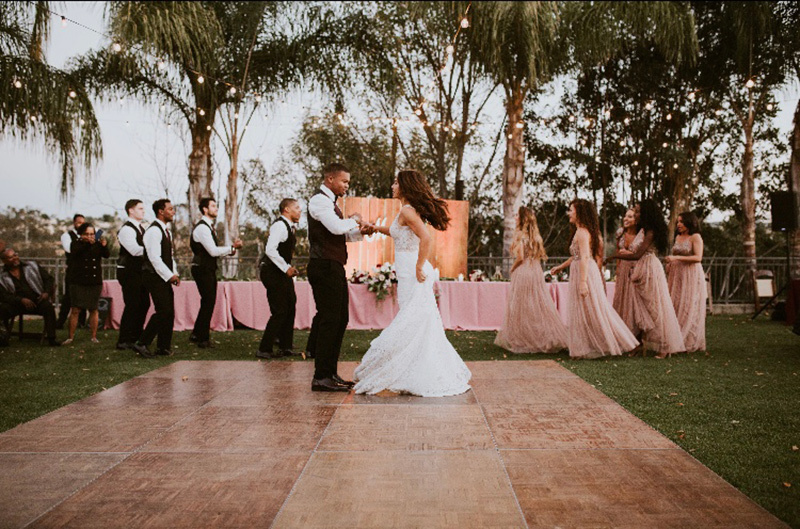 SoCal Chic wedding that’s both charming and elegant? Sounds like one gorgeous wedding! 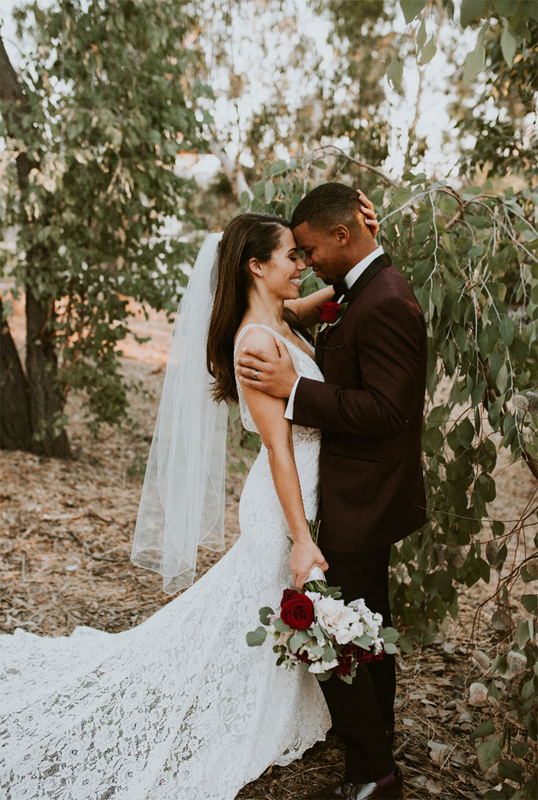 An absolutely gorgeous wedding and a stunning bride. 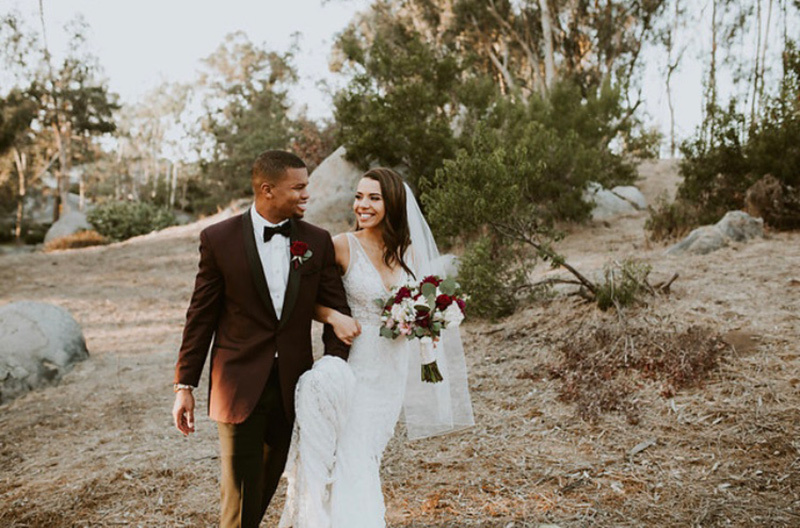 Gabbie was all smiles (and we hear many happy tears too!) 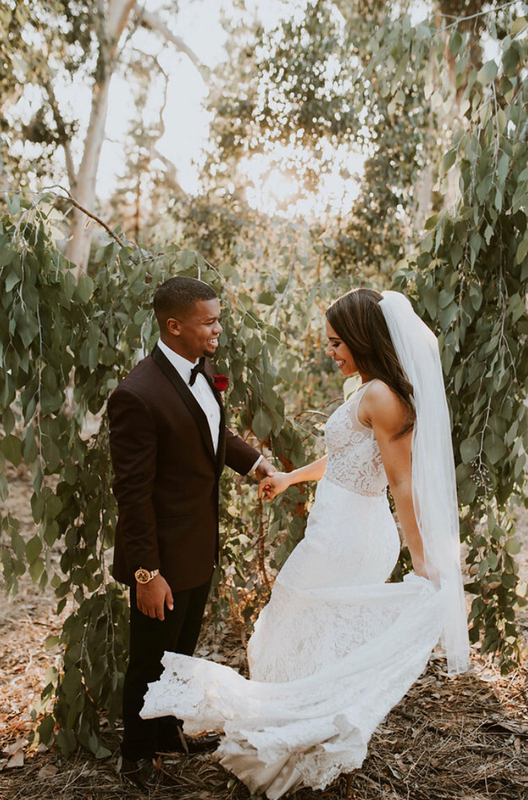 on her wedding day, and let us tell you, that smile lit up our salon as well! A picture perfect scene with that perfect SoCal cool vibe. 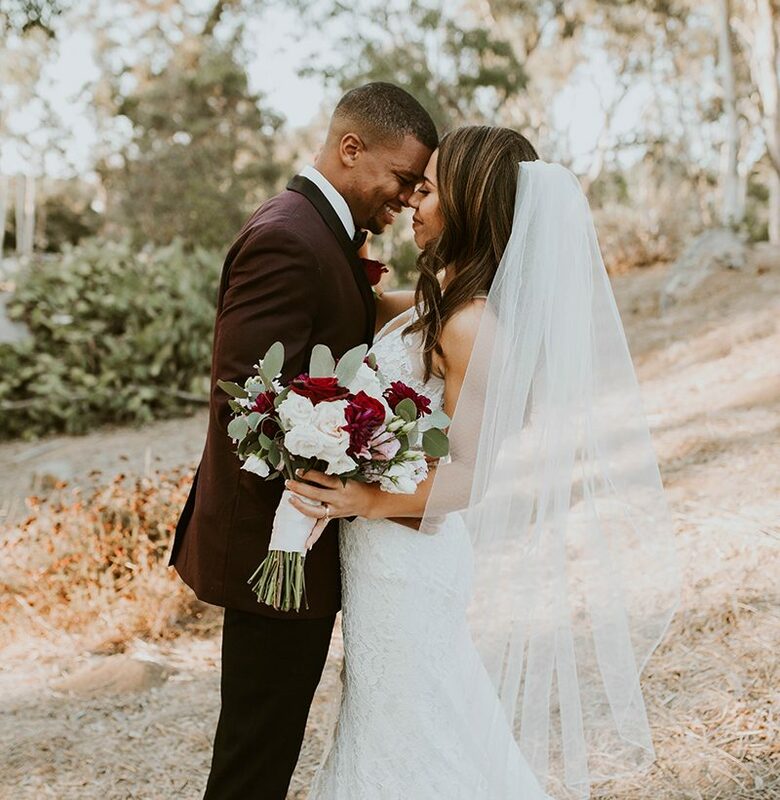 We love Gabbie’s choice of deep reds mixed in with blush tones. Creates that oh-so-chic vibe we keep awwing over. 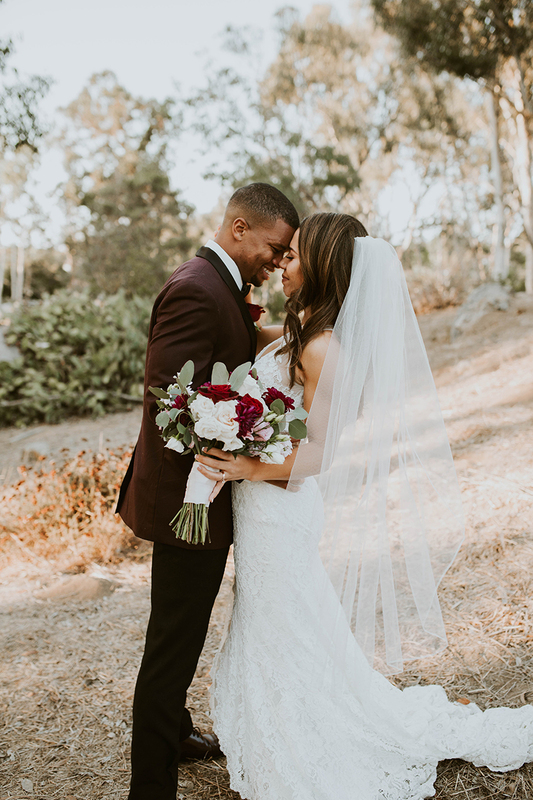 Her handsome man, Myron, in a burgundy tux and bridesmaids in blush taupe dresses were a great addition, bringing the elegance of the wedding to new heights. But overall, Gabbie in her Frankie dress by Made With Love, stole the show for us. She seems to positively glow with love and light…and lace too, of course. We are also very appreciative of the talents of photographer, Dani Purington! These images are jaw dropping gorgeous! The coloring, the captures, all stunning. So glad we are able to see every beautiful detail. Another thing that was, and is, completely obvious in just these few photos, is the love these two share. The sweet touches, the way they look at each other, it was all so sweet and meaningful. A beautiful start to what we are sure to be a beautiful life together. 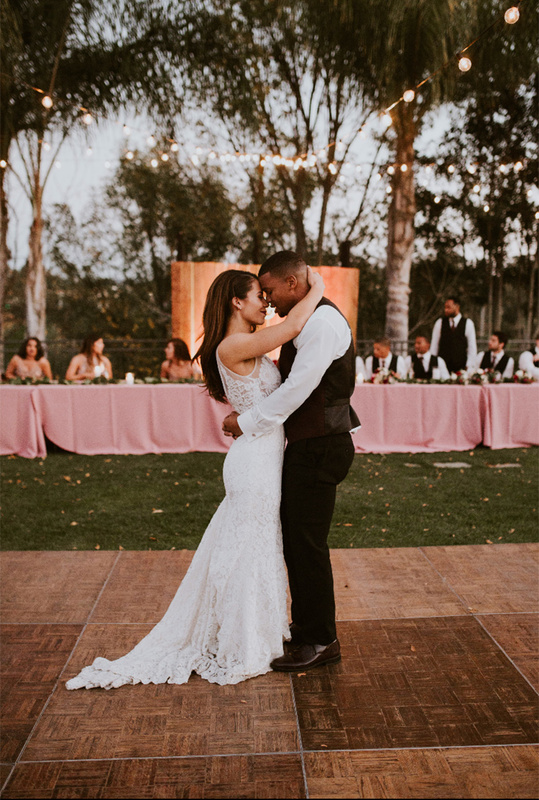 Gabbie, we wish you so much happiness and thank you, from the bottom of our hearts, for being a Love and Lace Bride!